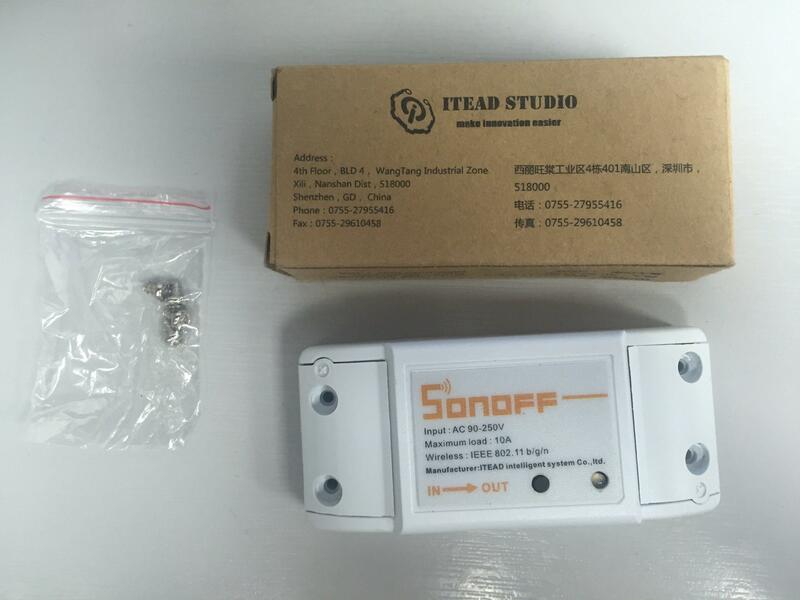 Bob found these ESP8266 based Wi-Fi Relays from china, the “Sonoff – WiFi Wireless Smart Switch For MQTT COAP Smart Home” and being that he is is kind of a geek he bought some, now in typical China fashion the difference between 3 and 5 was not all that much, so he got two extra for me to glance over. Please remove mains from the unit if you are looking at the unit! 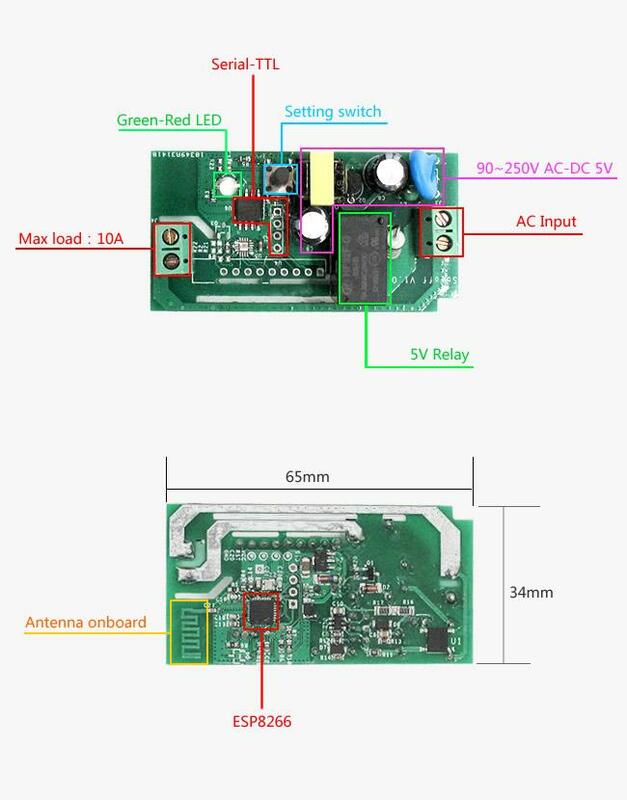 this is not a Class II device and 230 VAC is present on both sides of the PCB. Contents of box, with box. Topside of PCB (Short Verticle header is the UART header, the long horizontal is the header for an optional 485 MHz module that is populated on the Sonoff smart wifi switch PRO version). 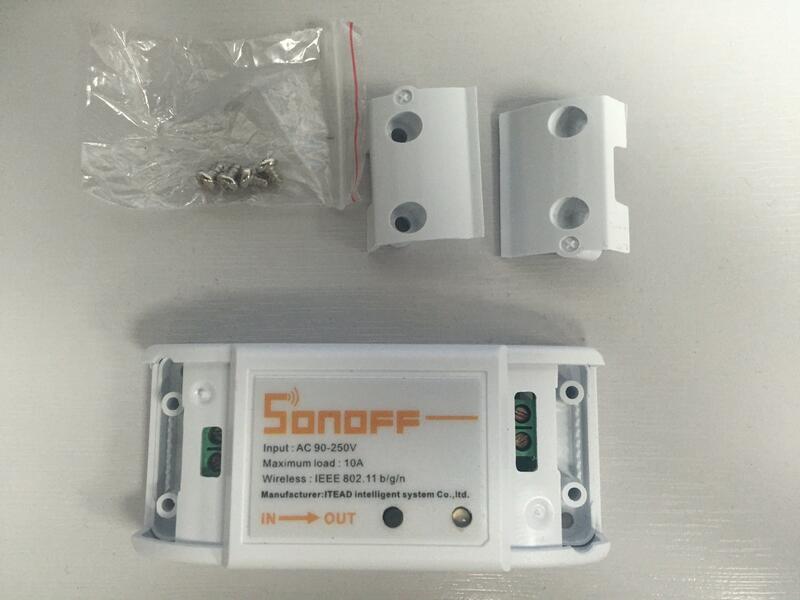 Sonoff is a WiFi wireless switch that can connect to appliance of different types and brands. 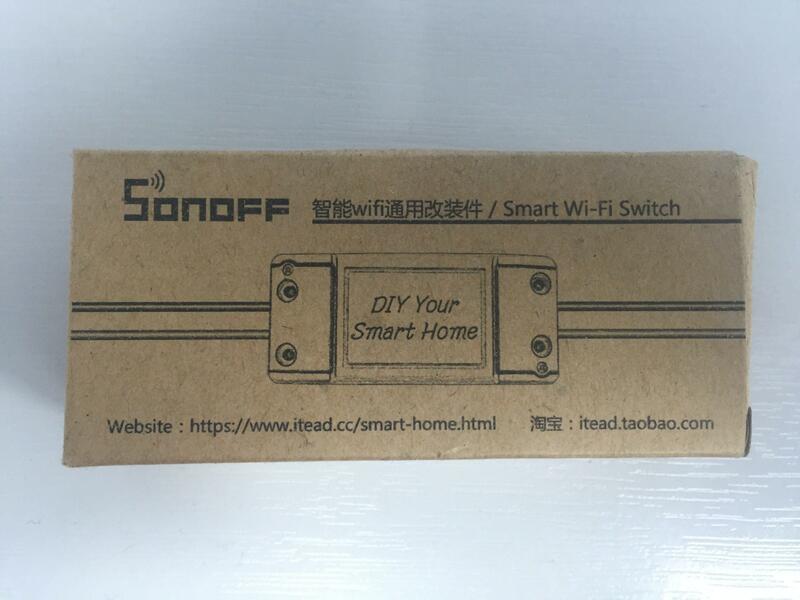 Sonoff sends data to cloud platform through the WiFi Router, which enables you to remotely control all appliances with the App eWeLink on your smartphone. Now the eagle eyed among you will have spotted the lack of CE or FCC marks anywhere on this! a quick look at the user guide also fails to mention any form of compliance. 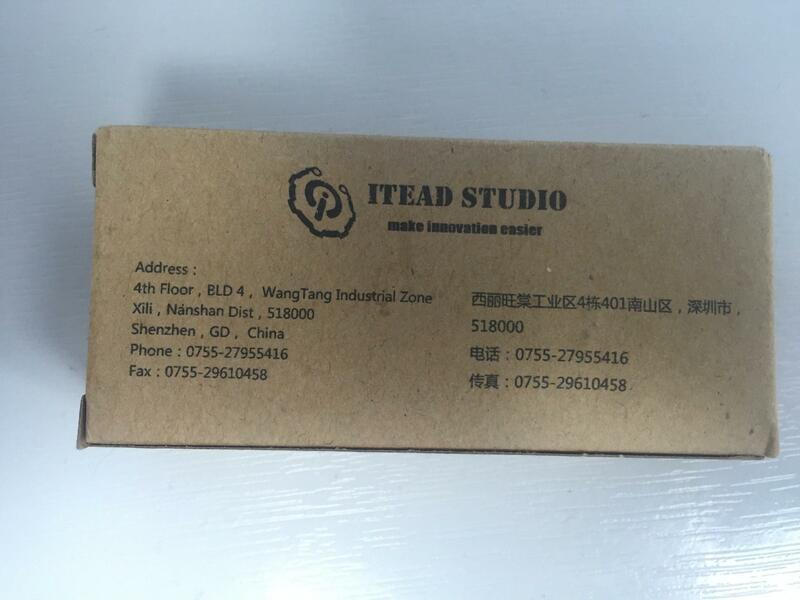 So without much more waiting around let us have a look at the product. 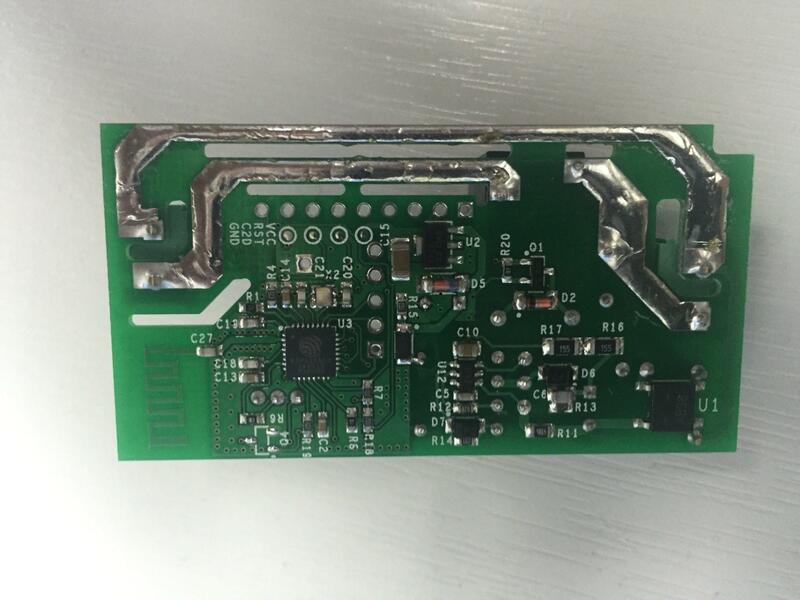 The ESP8266 module is on the PCB, however does not seem to have any details of an FCC number, so is may not be a pre approved module, however they do make it easy to get to the UART. 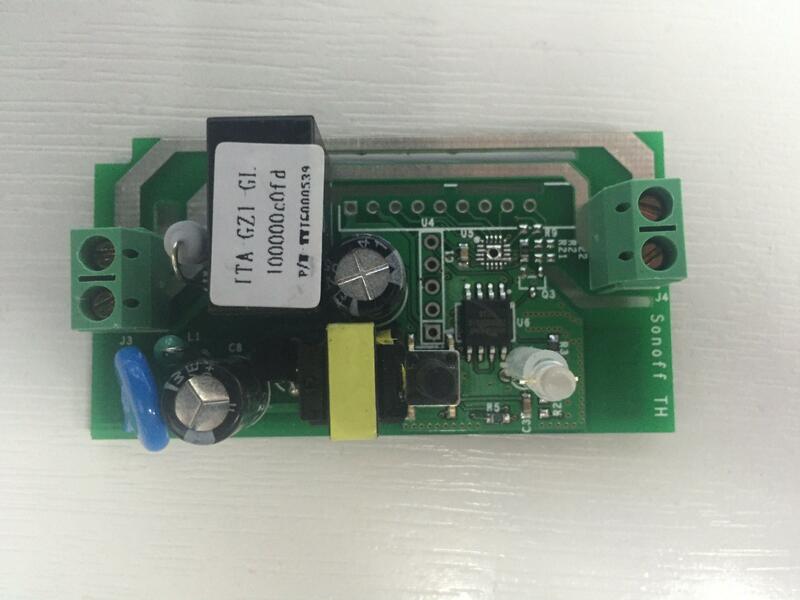 This particular part number does not appear to have an English data sheet available, so lets glance over one in Chinese (using the bits gleaned from Aliexpress for a different model as a reference). 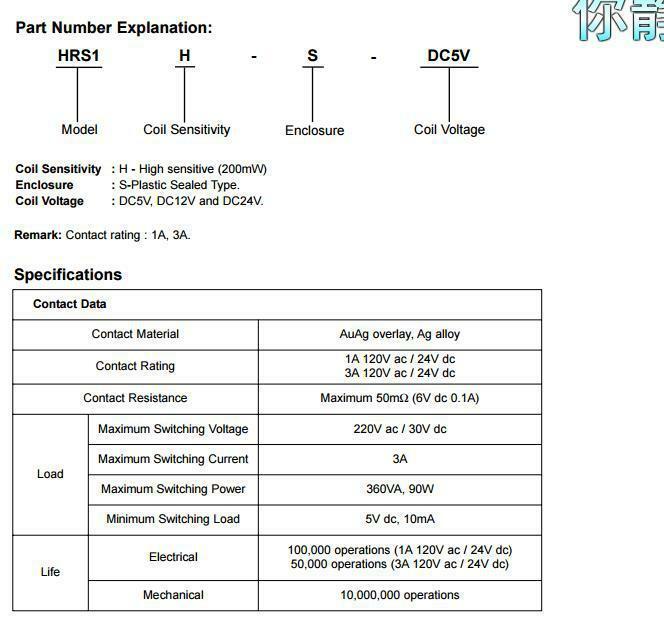 H – High Sensitivity 200mW coil. A – Contact form (A or C) this claims that the Contact is rated for 10 A @ 250 VAC. Wedge the grouped strands fully into a terminal with the strand on its own as close to the other terminals as possible. The layout is nice and tight, but is it too tight! 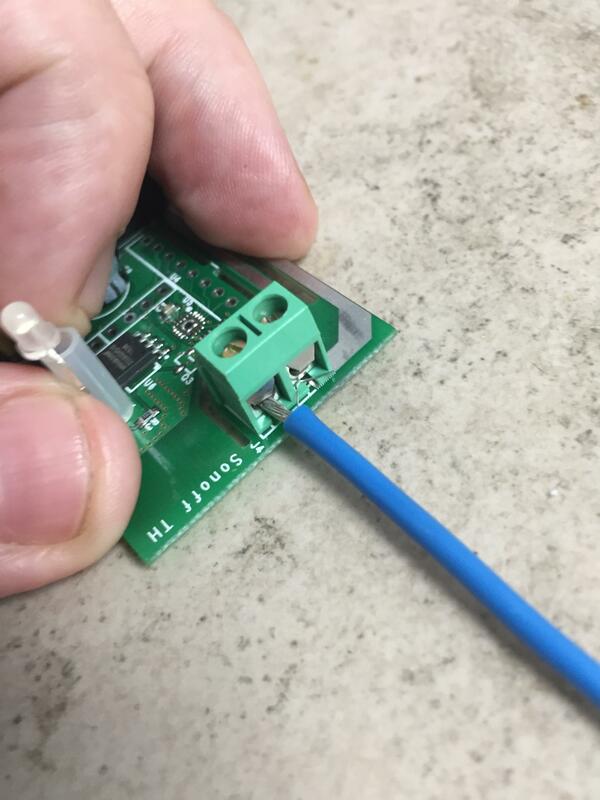 the gap between Live and Neutral is a bit tight, I think it is safe to say that I feel it is a bit too close, The requirement for creepage distance between Live and Neutral before any fusing is a minimum of 2.4mm; there is no fusing on this PCB at all. 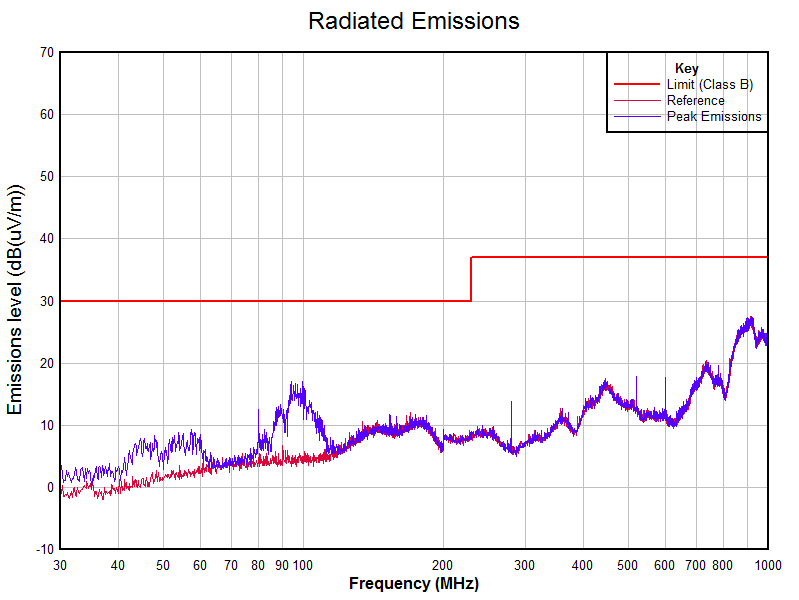 As we can see from the graphs above, its a fail on Conducted Emissions (Live Side has measurements, neutral didn’t. However they are very smiler). however on the other scans its a pass. 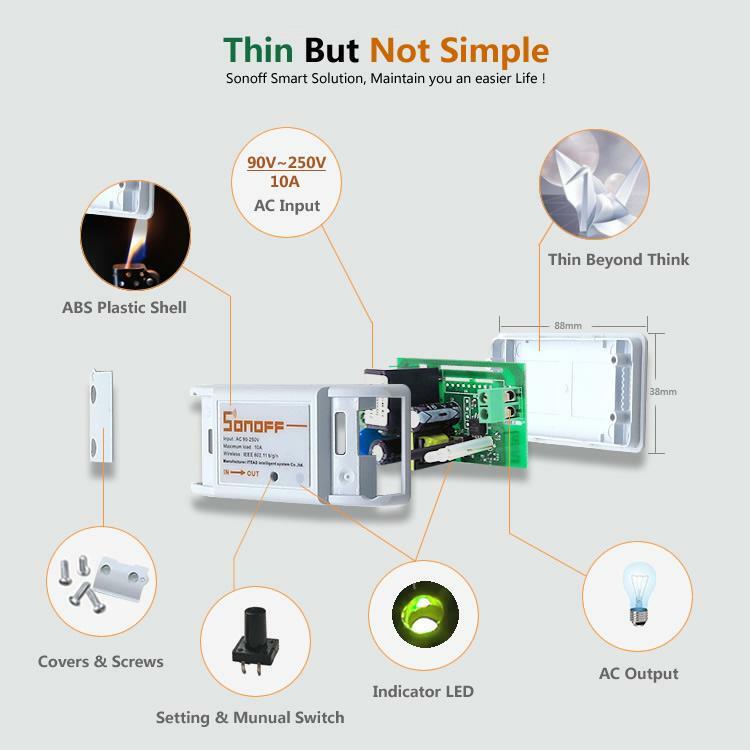 All in all, from a unit point of view, it is an interesting unit that I may be tempted to use (Fused at 5A), HOWEVER it does not meet the requirements of relevant standards, it is not electrically safe. It would be illegal to place this unit as is on the market within the European Union. 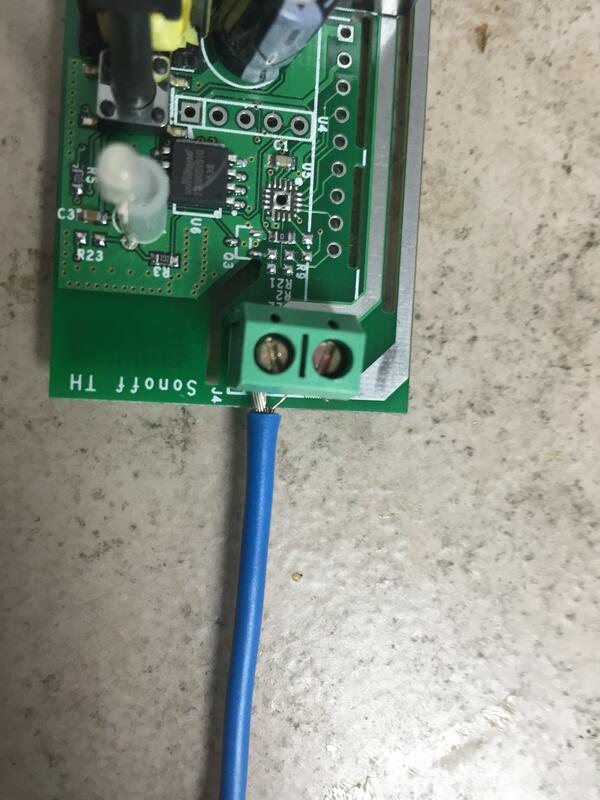 If you are making a product that users are required to wire it in or plug in, Please, please send CASS Industries an email to ask about testing! The test results on this page are indicative, and in no way constitute evidence of a result! Thanks for sharing. It definitely seems sketchy. It isn’t listed UL on this side of the pond either. 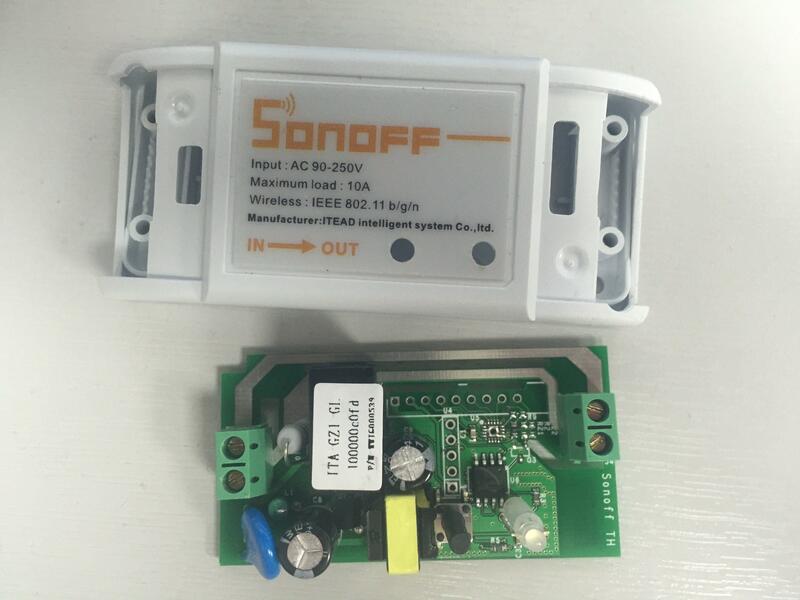 https://skippy.org.uk/sonoff-smart-wifi-switch/ did not see any mention of the safety issue except the possible arcing potential of the gap for the wiring. 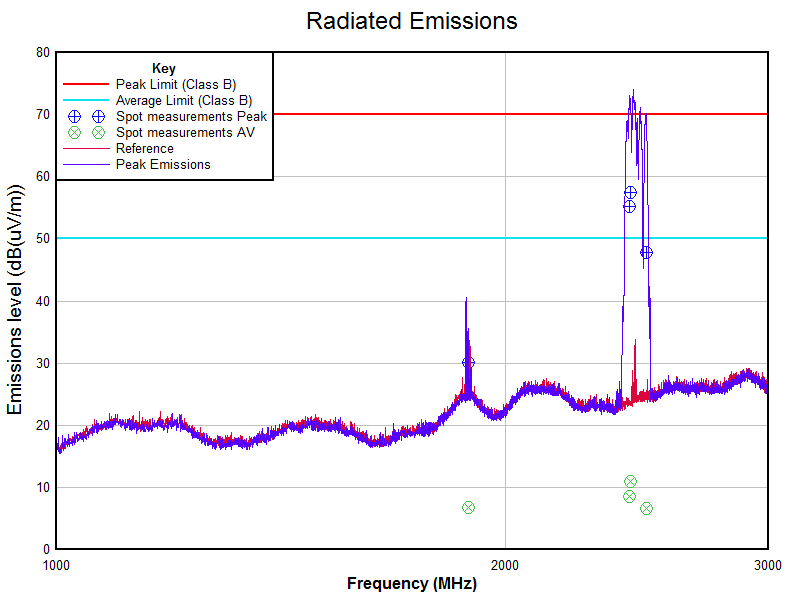 Seems your main concern was the Radio interference that is caused. Am I correct? If not please explain to a noob. The item is not fused. There are no instructions for use included (as such no guidance on how to correctly install, or recommend fuse rating). 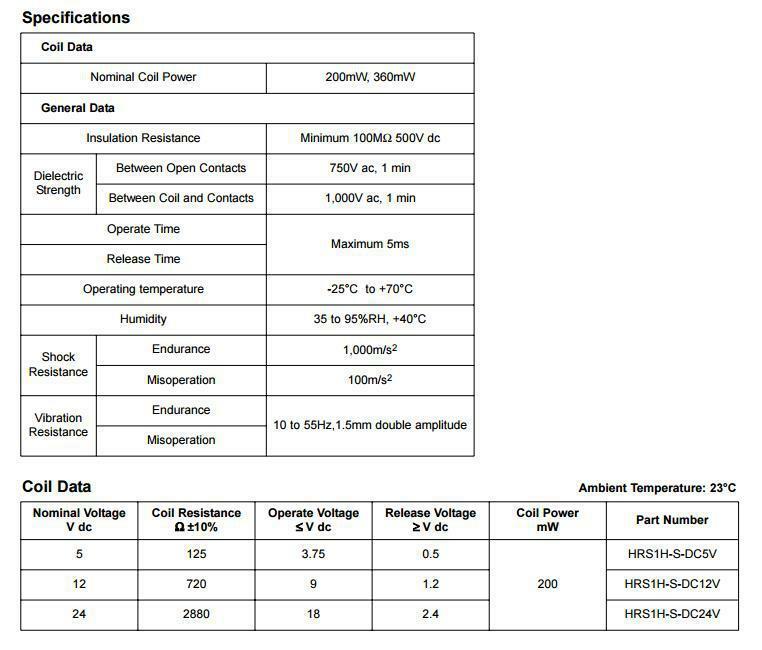 If I was using this I would fuse it at 5A maximum and only use it with resistive loads (lamps, heater etc). 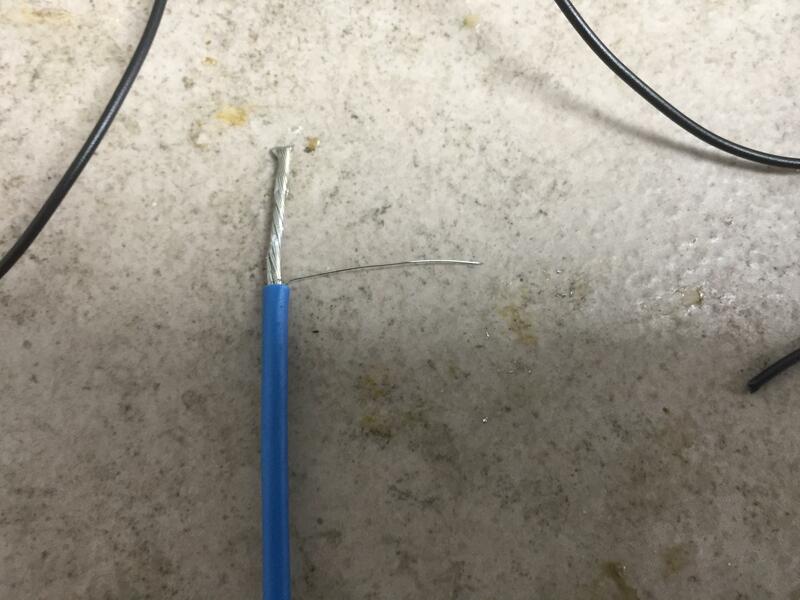 There is also no provision for the earth wire to continue across the device, and no instructions for how to achieve continuous earthing of the switched unit. 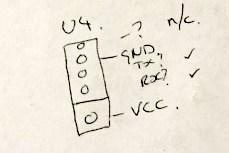 So if one has a 10A rated outlet then one would need to upgrade the terminal block which would solve that and likely the pitch and include a 10A fuse. I am curios how other branded Wifi systems meet these requirements. Will investigate. Thanks again for that info. When some one sends me a different unit to test I will answer those questions. 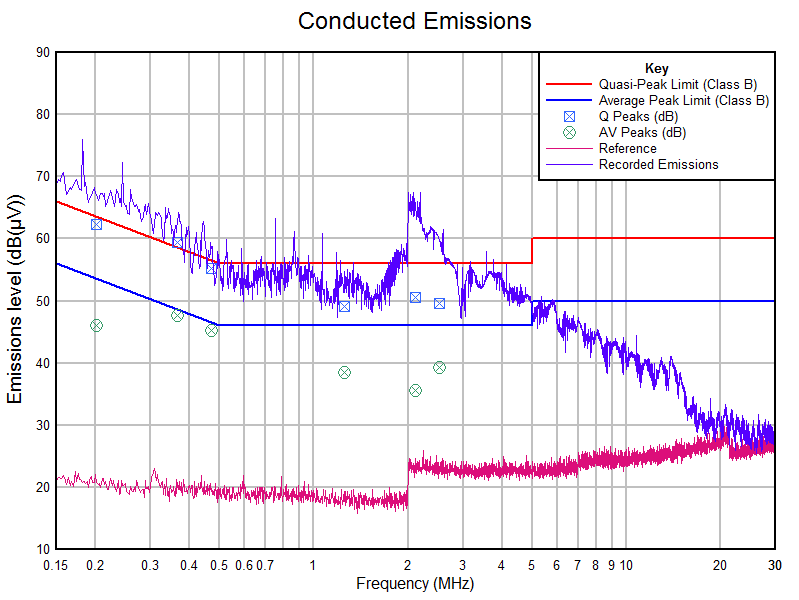 What about testing the 16A model ? Isn’t the fuse requirement only for UK ? I mean outside UK, in EU, people got sector disjonctor in ther power setup, so it would limit the current drawn. 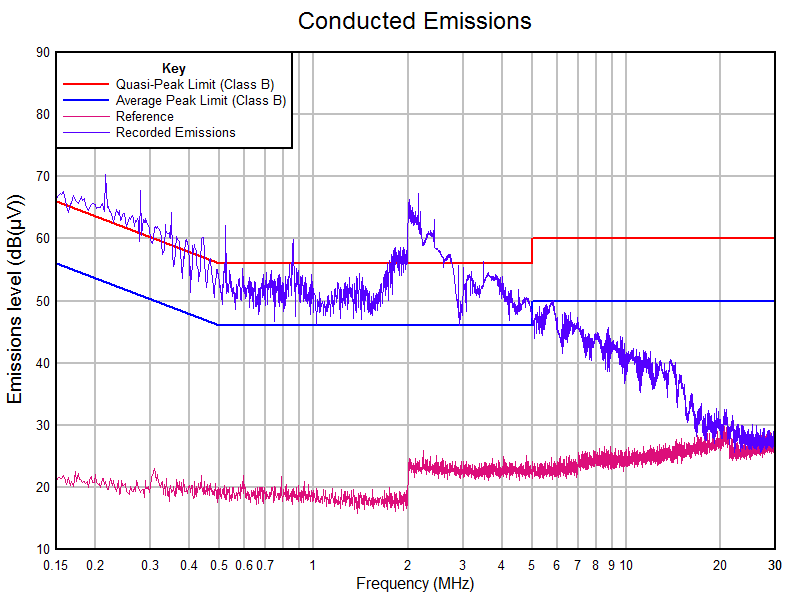 Besides that, we use differential switches with both AC&DC current leakeage detection. 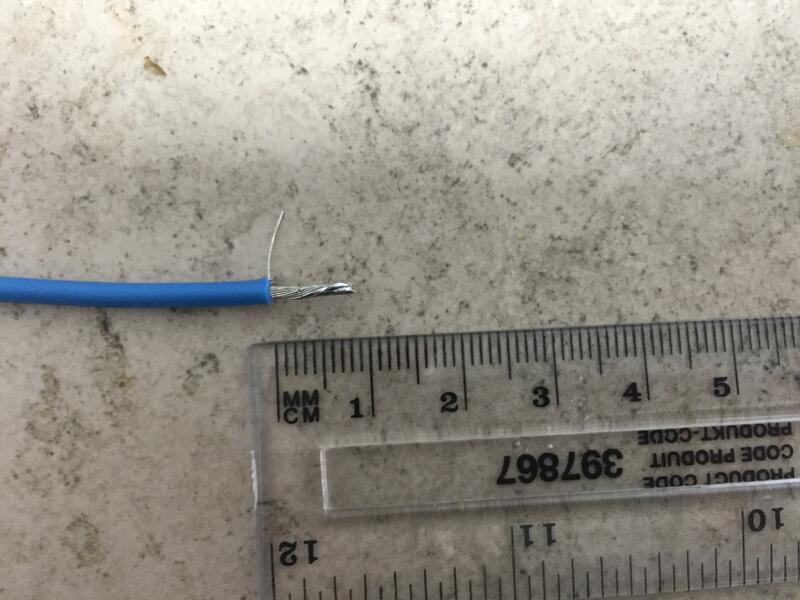 So if anything is wrong … on or the other protection will “plug off” the setup from the main. I have just received one of the 16A units and some of the concerns raised here have been done. the terminals, live and neutral separation and the earth connection and it is fit with an internal 20mm 20A fuse. The one I have is the 2nd version an the socket in the side has been moved so it is possible to plug into it, this wasn’t possible in the earlier version. 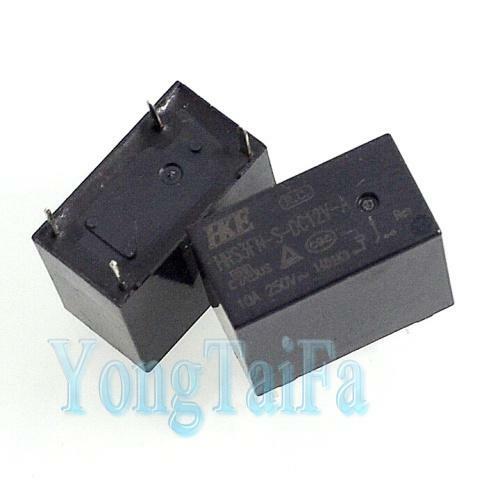 The issue I have is the relay looks like it’s the same so only 10A not good. 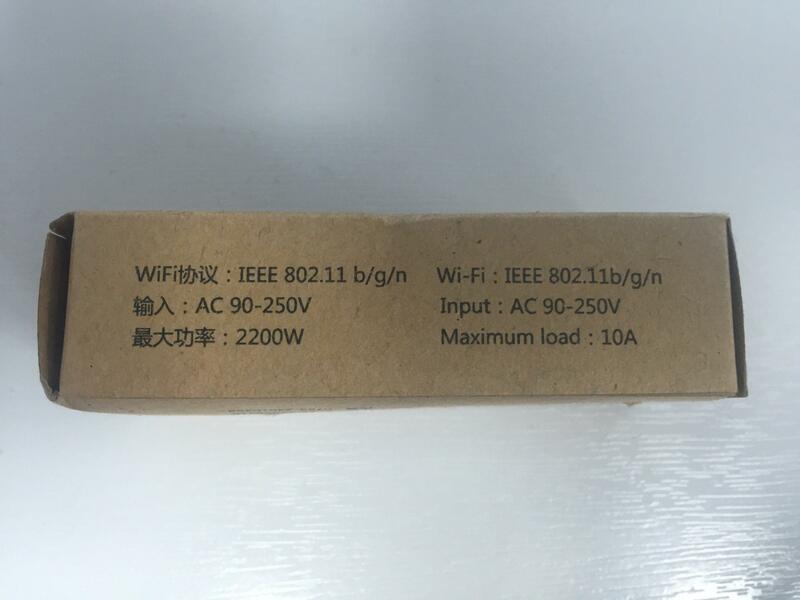 It has a CE mark but from China will it mean anything?